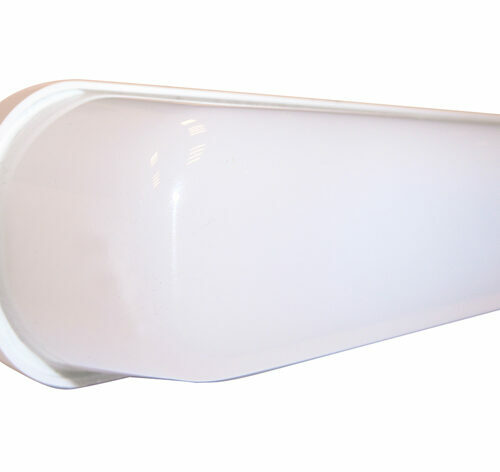 The “LDPL 600 LED LIGHT” is designed for applications in pharmaceutical industry, veterinary, biotechnology and research environments. It is a standardised and perfectly adaptable solution. • Dimensions 600 x 600 mm. • Made of sheet steel and painted with white epoxy (RAL 9010). • Tensión de alimentación 220-240V – 50/60 Hz. • Protection grade IP-65 on both sides. • Optional: emergency kit built in with one-hour battery. 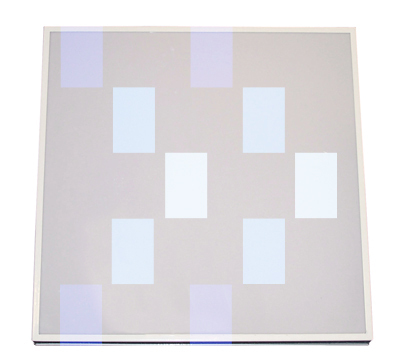 • Designed for installation in pharmaceutical technology panels of thicknesses varying from 60 mm to 150 mm. • Ideal for clean room ceilings. • LED made in Austria. • Light flow: 1.190 – 1.470 lm. 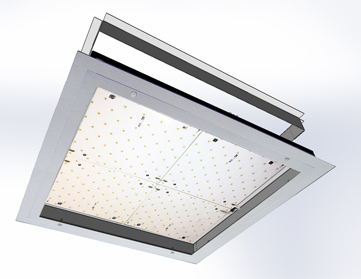 • Combined LED module for general and emergency lighting. 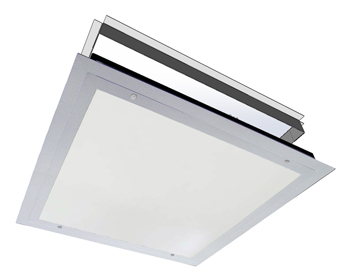 • Separate built-in emergency lighting LED, controlled by EM powerLED. • High Ra colour reproduction > 80. • Colour temperatures 3,000 and 4,000 K.
• Self-cooling (no additional heat dissipater required). • Long life: 50.000 hours. • 5 years’ LEDs guarantee.